Big News From Hair Mechanix We Have A Winner! We here at Hair Mechanix are excited to announce the winner of our Hot Tub giveaway contest! We paired up with Sunny’s Pools and More (formally known as Viscount Pools West), 101 WRIF and 94.7 WCSX to give away a free hot tub, and we’ve got one lucky winner! You might be asking yourself…. Why? We here at Hair Mechanix don’t like to focus on the why so much as the WHY THE HELL NOT!? A special Congratulations to our contest winner Richard Jaynes of Inkster Michigan! We can’t wait to see the look on your face when you get your prize! Also, we can tell you that he was very excited when he got the call (we assume it made his day). We want to thank everyone who entered and participated in this giveaway! You can Trust this won’t be the last contest we do, so stay tuned! We’re excited to announce some big developments! Have you heard that we are opening 4 new locations? We are very excited to announce that by the end of the summer we will have 3 new locations in Michigan and 1 new location in a new state altogether! Our new locations in Michigan are going to be in Troy, Michigan, Warren, Michigan and Monroe Michigan! We will announce their opening as they happen so stay tuned! We are also extremely excited to be opening our first out of state shop in Jacksonville Florida! Business has been good, so we decided to take the Hair Mechanix experience on the road! We can’t wait to see how this shop evolves and are excited to be a new fixture in the Jacksonville community! 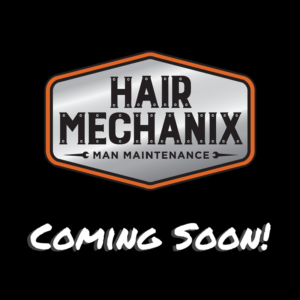 Want to stay up to date with everything that’s going on here at Hair Mechanix? Sign up for our mailing list or follow us on Facebook!